With all the bathroom products now available on the market it might be easy to think that buying and installing the most expensive products available will automatically lead to an aesthetically pleasing bathroom. In reality the importance of good design and product selection cannot be underestimated. Good quality products installed in a well designed bathroom will always produce a better result than exceptional products installed in a poorly designed bathroom. Liquid Design Installations is able to guide you through the process of selecting the most appropriate products for your bathroom, ensuring that the products selected are suitable for both the bathroom space and design. 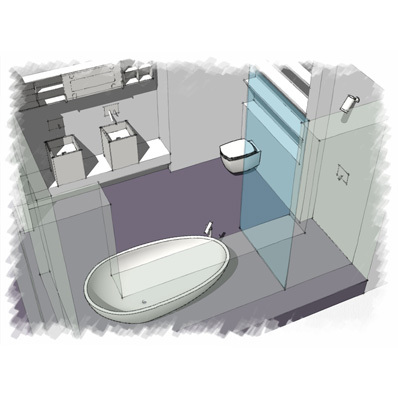 For more information on our bathroom design and installation service please click here.